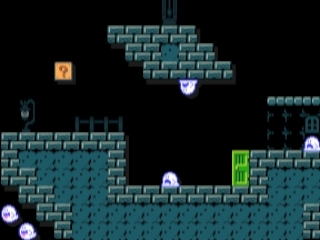 Startled Disbelief: Mario Maker: Spooky! I made this level with my friend bcj in mind, because he loves s. It's probably pretty tough, and there are lots of secret hidden things, as befits a ghost house.